If you are looking for ideal and affordable solution to create gate pass for visitors, your search ends here. DRPU Gate Pass ID Cards Maker Software is designed to create visitor ID cards and Gate pass for Visitors. Software provides facility to save your visitor details to the database and you can easily search entire visitor's details according to Name, Company Name, Date Range, Address, Phone No, etc. as per your requirements. Gate Pass Maker tool enables you to export designed ID card as Image (JPEG, PNG, BMP, TIFF, GIF, etc ), PDF file and as Template. Facility to design Visitor ID card and Gate Pass for visitors. Provides option to save visitor details to the database. Export designed ID cards as Image (JPEG, PNG, etc ), PDF file format and as Template. Provides Image Cropping tool to crop a single image or to crop multiple images for ID card. 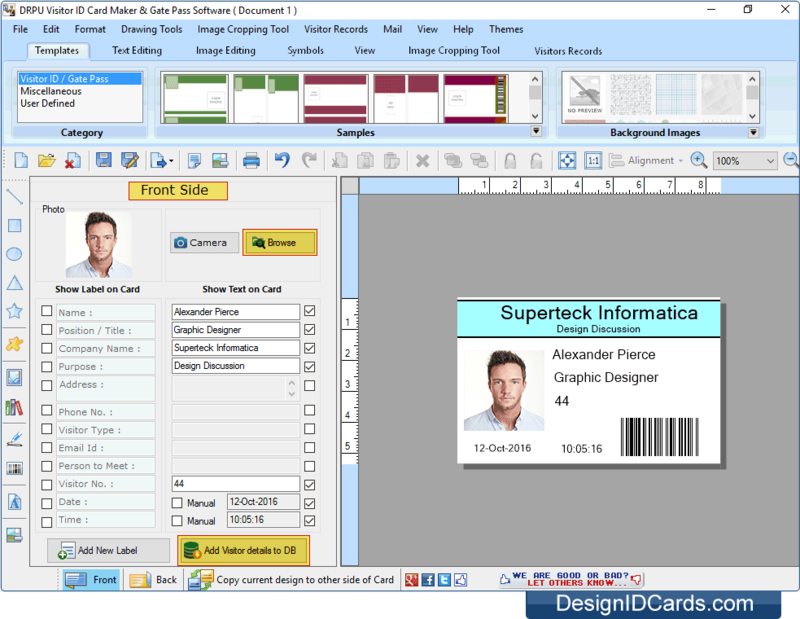 Software provides facility to print designed ID cards using print settings. Provides facility to capture image of visitor using camera setting option. Facilitates you to copy current design of ID card to the other side of Card. 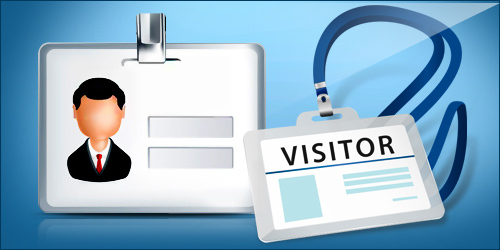 Facility to save your designed visitor ID cards log in (.idd) file format. Design Visitor ID cards using Text, Line, Triangle, Star, Symbols, Signature, Barcode, Watermark and other image designing tools. Software provides inbuilt email setting feature to send designed ID cards at particular email address. Provides option to specify the color and background settings of ID card including Solid Color, Gradient, Image, Fill Style and Card Border Settings.